Gramma Dot’s offers lunch and dinner menu serving customers seven days a week from “Sanibel’s only Seaside Saloon” where you can leisurely dine dockside at the Sanibel Marina. 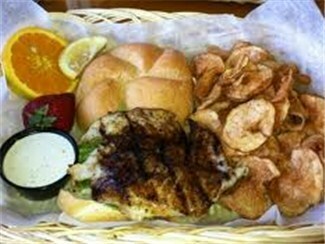 Menu features full line of “ONLY FRESH” seafood, salads, sandwiches and more. Check in with Dockmaster for lunch slip, monitor VHF 16.